Low-density lipoprotein, aka “LDL” is considered the “bad” cholesterol, because it contributes to fatty buildups in arteries (atherosclerosis).Over time, LDL can narrow the arteries with plaque buildup. When plaque accumulates on the walls of the arteries, health conditions such as heart attacks, strokes, lower-limb amputations, and PAD can arise. 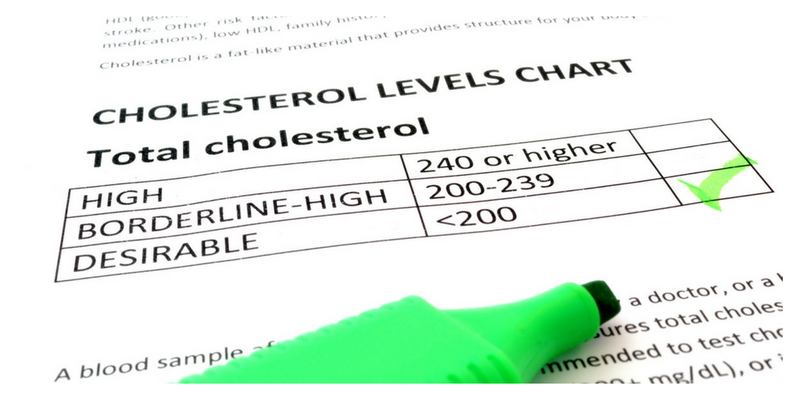 High-density lipoprotein, aka “HDL” is often referred to as the “good” type of cholesterol. HDL carries bad cholesterol away from the arteries and back to the liver, where the LDL is broken down and excreted from the body. However, HDL cholesterol is not magic and only about 1/4th of blood cholesterol are carried out of the body by HDL. 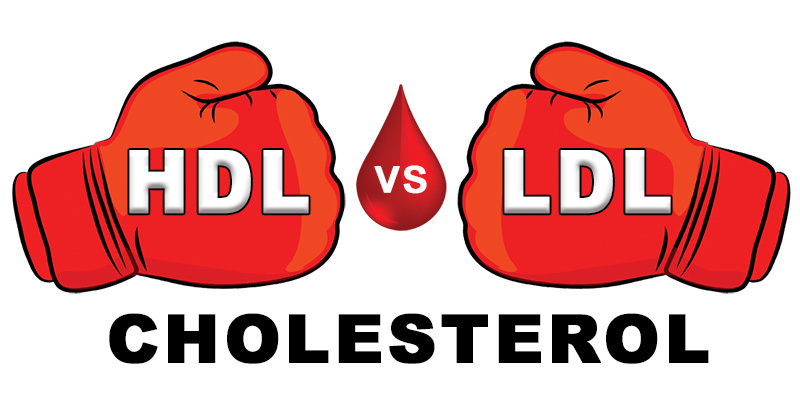 Though HDL and LDL both transport cholesterol in the blood, the difference between the two is they deliver cholesterol to different body parts. HDL transports cholesterol away from your blood stream and delivers it back to your liver where it gets excreted from the body. However, LDL is the primary carrier of cholesterol which brings cholesterol to cells all throughout your body (ePain Assist, 2018). Peripheral artery disease (PAD) is a common problem caused by atherosclerosis (plaque buildup potentially causing a blockage) usually affecting your legs. Not only will PAD affect the blood flow to your legs, but it can also affect flow to your heart, brain, and other major organs. You can successfully treat PAD by some life-style changes such as, dieting, exercising, quitting smoking, limiting alcohol and coffee consumption, and possibly start taking certain medication. The main focus on these lifestyle changes is to lower cholesterol and blood pressure to a safe, manageable level. Cholesterol levels vary by a person’s age, weight, and gender; however, a typical, healthy, HDL cholesterol number for adults is having a reading of less than 200 milligrams per deciliter (mg/dL). Likewise, LDL levels should be less than 100 mg/dL (Fletcher, 2017). As you age, your body tends to produce more and more cholesterol, which is why managing and monitoring your cholesterol is extremely important. People that have high cholesterol levels often have PAD. The plaque from high cholesterol that is deposited inside the artery wall can cause symptoms of PAD such as pain in the legs, hips, thigh, or buttocks especially after walking. Decrease in temperature of your leg or foot, loss of hair on the legs, thinning of skin on the legs, and wounds that heal slowly or not at all or just a some of the symptoms to look for when diagnosing PAD. If left untreated, PAD can cause serious health conditions such as, a heart attack, stroke, or amputation. Heart attack symptoms to look for include: tightness, squeezing, pain or aching in the chest or arms, difficulty breathing and stroke symptoms such as dizziness or loss of balance, numbness, muscle weakness, difficulty speaking or speech loss. Risk factors for PAD are age (usually over the age of 50), family history, smoking or have been a smoker, diabetes (especially type 2), history of vascular disease, and obesity. Early detection for both high cholesterol and PAD are simple and virtually painless. Blood tests will determine your cholesterol levels and an ankle-brachial index (ABI) and/or Doppler ultrasound are used to diagnose PAD. If you experience any problems or symptoms, contact your doctor immediately. USA Vascular Centers offers minimally invasive, outpatient treatment for PAD. All procedures are covered by Medicare, most major health, and some Medicaid plans. For more information visit regarding our center locations, doctors, and treatments, please visit www.USAVascularCenters.com or call (855) 514-6149 to schedule your initial PAD consultation. ePainAssist, Team. “HDL Vs LDL: Differences Worth Knowing.” Edited by Pramod Kerkar, EPainAssist, Painassist Inc, 8 Feb. 2018, www.epainassist.com/blood-diseases/hdl-vs-ldl-differences-worth-knowing. Fletcher, Jenna. “Cholesterol Levels by Age: Differences and Recommendations.” Edited by Deborah Weatherspoon, Medical News Today, MediLexicon International, 20 Feb. 2017, www.medicalnewstoday.com/articles/315900.php .